Buy Genuine Big Buddha Seeds. Are you looking for the best Big Buddha Seeds? 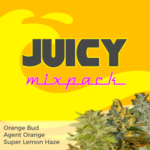 We have the entire collection right here, all 100% genuine, and guaranteed from the Big Buddha Seeds Company. From the original Big Buddha Cheese, and subsequent, delicious tasting Blue Cheese, to the very latest in Autoflowering Seeds, such as the Super Automatic Sativa, from this English Cannabis Seed Bank. Whether it’s an Indica, or Sativa. 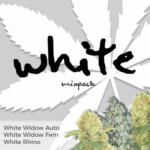 Regular, Feminized or Autoflowering, here at VegPage we offer only the very best Cannabis Seeds. A Sample Of The Best Big Buddha Seeds. Big Buddha Seeds: The Cheese. The original Cannabis Cup winner, Big Buddha Seeds Cheese is possibly one of the most famous Cannabis strains to be developed in England. 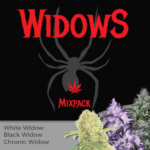 Originally a cutting produced from a rogue Skunk No#1 seed, sold by Sensi Seed Bank, it gained a following with the Exodus Cannabis Community, later bred and Feminized to be sold as seeds by Big Buddha. With it’s extremely pungent “Cheesy” smell, both in growth, and once bagged, it is unmistakable from any other collection of Cannabis strains. With classic Indica undertones, this “Cash-Cropping” strain is a firm and sought after favourite of many smokers and tokers across Europe. A visit to any Coffee Shop in Amsterdam will yield a variety of Cheese, as now many of the well established Seed producers all have their own version of The Cheese. However, if you are looking for the Original Cheese, it has to Big Buddha Seeds. Big Buddha Seeds: Blue Cheese. Probably the second most well known strain from Big Buddha Seeds is the Blue Cheese. If you like that Blueberry taste, and find The Cheese hits the spot for you, then you’ll love Big Buddha Seeds Blue Cheese. Easy to grow, and with the smell of cheese of blueberry, Big Buddha Seeds out-classed the opposition when they first produced their Blue Cheese. Produced by crossing their Original Cheese mother with one of the very best versions of Blueberry available, the produced a taste that was unique and totally unlike anything before. 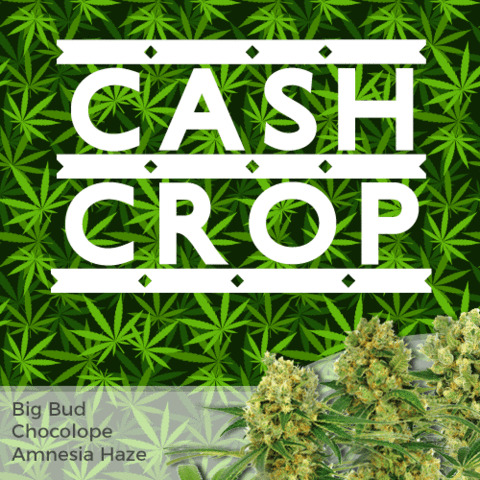 Ready in 8 – 9 weeks, Big Buddha Seeds, constantly in high demand and offering the very best, and original Blue Cheese Seeds, we are happy to provide you access to the original Big Buddha Blue Cheese Seeds right here. Big Buddha Seeds: Critical Mass. Designed as an Autoflowering Seeds, Big Buddha Seeds Critical Mass offers the very best in fast, high producing, Autoflowering Strains. 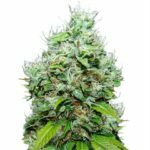 This large yielding, super fast seed, initially developed in Spain to take advantage of the long, hot, sunny days, has become a firm favourite of Cannabis growers both indoor and outside. Ideal for growing on a patio or balconey, the Critic Mass will flower regardless of darkness, making it an ideal selection for many parts Europe and America. If your looking for the fastest, heaviest yielding of the Big Buddha Seeds collection, it is hard not to recommend the Critical Mass as one of the best producing Autoflowering strains. Enter the world of Big Buddha Seeds and you will soon discover that all forms of the original Cheese seeds are also available as hybrids, crossed with some of the worlds most popular and most dynamic strains. 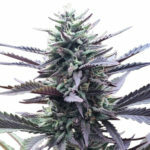 Big Buddha Seeds Chiesel is the result of perfected cross breeding techniques that have allowed the Cheese to be breed with other world famous Cannabis strains. Chiesel is the hybrid daughter of The Cheese and Sour Diesel. The perfect culmination of both European and American champion Cannabis strains, brought together and infused, creating an old skool Cheese with grapefruit undertones, a true product of champions, containing Soma’s world-famous NYC Diesel and Big Buddha Seeds Original Cheese. Say Cheese, say Chiesel. By an accident, the Big Buddha Seeds Cheese become crossed by a Bubba Kush plant, resulting in one of the most explosive Indica’s obtainable. The crossing of these two Cannabis strains resulted in the very best in the afghan Kush genetics coming to the surface to produce an explosive, easy to grow Cannabis strain. Originally beginning as a Cheese X Bubblegum strain, a cutting came into contact with the Bubba Kush, and so a delicious new strain was born. Ideal in an Indoor “Sea Of Green” garden as it produces a large, stout and squat plant, benefiting greatly from Super-Cropping techniques, such as pruning or bending. If you enjoy fast, easy to grow heavy hitting Indicas, then Big Buddha Seeds Bubble Cheese offers you the perfect choice. If you wish to learn more or to Buy Big Buddha Seeds click below. ← The Best Hash Brownies.